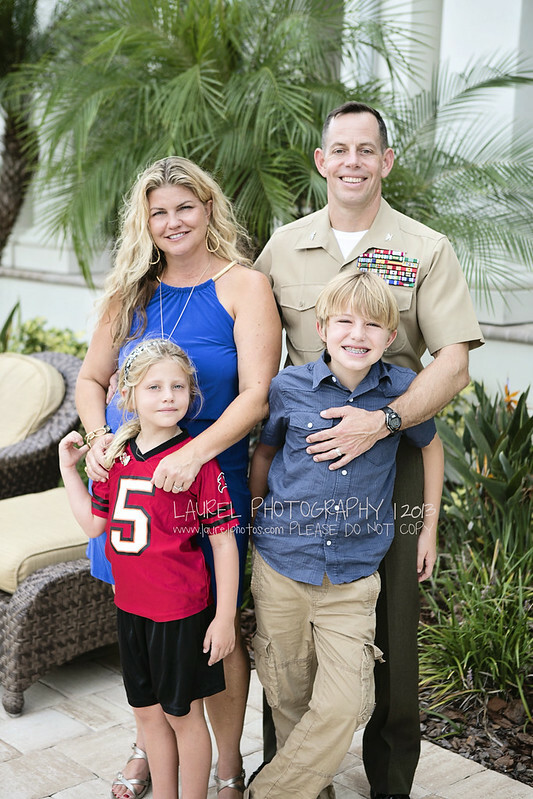 Posts with tag: "MacDill Photographer"
Yesterday I was honored to attend the pinning of Colonel to Chris Gideons. I met this family over a year ago by a mututal friend. Valli asked me to capture some fmaily potos for them. A few months later my daughter Brooke was on the same basketball team as their son and Chris was the coach. Over this time we grew to become great friends with this amazing family. They are truly great people but there is also the military connection that brings us together. My dad was in the AF for 27 years. I was a military brat as well as my husband. So yesterday my husband and I attended the pnning ceremony. The family asked me to photograph the ceremony and I was thrilled to do it. I found out the night before that I wasn't allowed to photograph in SOCOM (Special Operations Command) and that the Marines would provide someone in house to do this. As guests we couldn't even take our cell phones in. The ceremony was amazing. Admiral McCraven officiated the pinning. That man was quite impressive, how he knew Chris's military career to a T. And talk about impressive.... so is Chris! That man has done so much while being in the Marines. I was blown away. I can honestly say I don't remember any of my dad's pinning ceremonies. And this makes me sad. But then this was the only life I knew... so as a kid, why would I think they were important? I want to think that I was there for at least one, but my dad was the kind who did not like the attention. I do remember his retirememnt ceremony. So being at Chris's felt like home and both Kevin and I were thrilled to have been there. I was able to get some family pictures at the recpetion. Congratulations to the Gideons family!! !